When a woman first finds out that she may be pregnant, “hair loss” typically is not that the first thought that comes to mind. While there could be a lot of anxiety involved, most women think of love, happiness, a family, how to best prepare for the new arrival, and keeping themselves healthy and fit during the pregnancy. In fact, when it comes to a woman’s hair, during pregnancy most women tend to think that their hair is thicker and more luminous than its ever been before! So why are we talking about hair loss during pregnancy? Unfortunately, while hair during pregnancy tends to be healthy, shiny, and stronger than ever, post pregnancy begs a different story. If you’re not prepared with pregnancy facts, it can come as a huge surprise when you begin to lose hair after the baby is born. In fact, those nine months of being pregnant are some of the best hair days you will experience! Hair normally grows in three stages: active growth, resting, and shedding.During pregnancy though, the increased estrogen hormones in your body cause this cycle to shift, and hair that would normally shed continues to stay in the growing or resting phase. Therefore, hair that would normally fall out stays in, resulting in longer and thicker hair. While hair fall out post-pregnancy is nothing to look forward to, it’s also completely normal and should not be cause for alarm. About three to six months after giving birth is when you can expect to see a change in your hair. 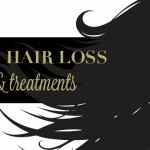 As you hair returns to its normal hair cycle and estrogen levels decrease, the hair that never went through the shedding process finally begins to shed, and hair fall out can be quick and sudden. Don’t fret! Shedding while you’re recovering from pregnancy is normal and healthy, and doesn’t mean you’re deficient in nutrients or vitamins. Normally hair returns to its regular cycle within six months, but for some women it can take up to a year. Rest assured it will grow back! 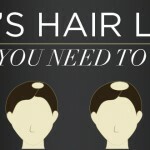 Hair fall out can happen in a number of different ways. Sometimes hair falls out all over the head, or it can happen when you brush your hair. Other times it may happen in the shower when you’re washing your hair. Most often though, women end up losing hair around their hairline, and hair tends to look very fine or thin in the front. Since every woman is different, the best thing you can do for yourself is know some important pregnancy facts.That way, when something happens, like hair loss post-pregnancy, you’ll be able to assess the situation with accurate information and minimize stress. 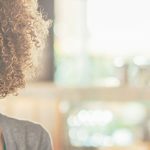 It may feel like the end of the world when you begin to lose hair post-pregnancy, but there are a couple of different options available to you that can help during this stressful time. The first thing that you can do for your hair is start taking hair loss supplements. A hair, skin, and nails vitamin that contains biotin and keratin will help promote healthy hair growth while nourishing existing hair follicles. For new hair to grow, it needs to be supported and strengthened, and a hair loss supplement will help ensure the body is replete with the nutrients needed for that extra support. It’s important to make sure you are taking a hair loss supplement twice a day so that your hair and body can achieve the maximum benefits possible. Just because you have hair loss during pregnancy doesn’t mean anyone has to know. 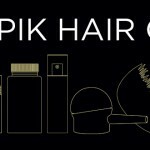 If your hair begins to fall out, it’s easy to cover any thin or thinning areas with Toppik Hair Building Fibers. These Hair Fibers are made of natural keratin fibers that look just like your own hair. They cling to existing hair with a natural static charge and blend seamlessly, concealing any areas where thinning may be happening. Depending on the coverage needed, you can either spray Hair Fibers into your hair or sprinkle where needed to make thinning areas instantly disappear. Have you ever experienced hair loss during or after pregnancy? Tell us in the comments section about your experience, and if anything helped you get through this trying time. Next week we will reveal the best haircuts of 2017 for men with thinning hair. Keep your look current with these fresh styles! can we use toppik during pregnancy? A very useful article, thank you! Its’ the truth that very many women suffer from the hair loss during pregnancy and after it and yeah sometimes this process can continue for a year…:( I think that in such case it’s always better to consult with a doc.